We have a long and proud history of commitment to justice, and supporting our clients through all kinds of situations, from simple disputes, to difficult compensation claims or complex class actions and we understand your need for an experienced lawyer who listens to you, who cares about you and who is with you - every step of the way. When you speak with a Slater and Gordon lawyer you are provided with experience, knowledge accessibility, and commitment because we care. Our diverse staff is here to help you in the language that you prefer. Since 2009, we have provided free social work support services to our personal injury clients in crisis upon referral from a lawyer. Those support services cover a wide range of issues including emotional distress, financial and housing issues, and difficulty accessing care, treatment or support services post-hospital discharge. Slater and Gordon was founded on the belief that everyone deserves quality legal advice, no matter how big or small their case may be. We have a long and proud history of commitment to justice, and supporting our clients through all kinds of situations, from simple disputes, to difficult compensation claims, or complex class actions and we understand your need for an experienced lawyer who listens to you, who cares about you and who is with you – every step of the way. When you speak with a Slater and Gordon lawyer you are provided with experience, knowledge, accessibility and commitment because we care. We aim to do whatever we can to win for you. 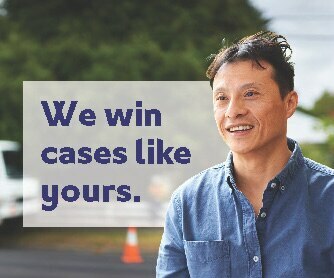 It’s why we introduced our No Win – No Fee*policy, so that you and all Australians can have access to quality legal representation, regardless of their financial situation. We have a long and proud history of commitment to justice, and supporting our clients through all kinds of situations, from simple disputes to difficult compensation claims or complex class actions and we understand your need for an experienced lawyer who listens to you, who cares about you and who is with you – every step of the way. Our diverse staff is here to help you in the language that you prefer. Since 2009, we have provided free social work support services to our personal injury clients in crisis upon referral from a lawyer. Those support services cover a wide range of issues including emotional distress, financial and housing issues, and difficulty accessing care, treatment or support services post-hospital discharge.